When is it best for me to use this export? Answer: If you are using Deputy to it's full capability, the answer is all the time. The system automatically determines and applies the correct OT calculations, shift loadings, that you have applied. 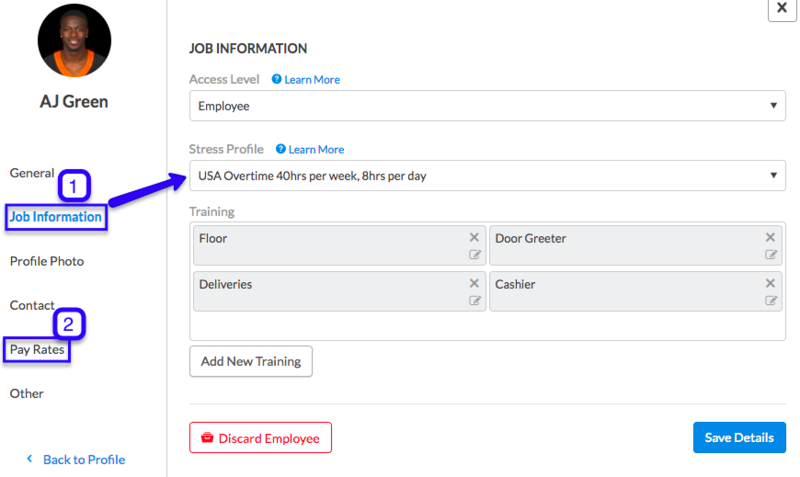 The benefit of using this export option is that it ensures the timesheets have taken into account all employee details and local state and national labor laws inputed in Deputy. To set up, go to People tab -> select employee to edit -> Job Information -> update stress profile then select the pay rates tab to update employee info. What payroll integrations support Library Awards export? Select your compatible payroll export. For this example we are using ADP Run export. Using the Award Library rates requires that all employees be set up with an award rate (e.g. FLSA Standard, California, Labor Law) in their employee profile. If the employee does not have an award rate setup, or they are using the wrong award, then their pay, overtime or shift loadings will not be properly calculated if using the new Award Library rate option. You can learn more about the using the Award Library and US labor laws here: Custom Awards Library and USA State Labor Laws.